Horse behavioral problems can be seen as a consequence of the horse's physical and emotional state, and we must also realize the extent of our personal influence as handlers and riders. 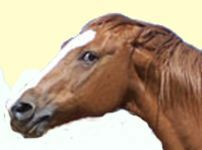 What Is A Horse Behavioral Problem? Unfortunately there is a tradition in the equestrian world of assuming not only that horses think in a logical way, but also that this logic is in their own interests. For example people often think that if they dismount when a horse is upset for some reason, perhaps out on a ride, that the horse will then think he got his own way (by not having to carry the rider) as a result of behaving badly, and therefore next time he will behave the same way in order to make the rider get off. It is a fairly unintelligent assumption to make, when you consider that many people don't even think particularly logically, and we actually have the intellectual capacity to do so, unlike horses who rarely, if ever, rationalize ideas in their minds in this way. Usually people react in a situation as a result of how they are feeling at that moment, and later on they will tend to think over events and try to make more sense of them in their minds. Maybe it is because we do this, albeit after the event, that we assume horses think about things in this way as well, or maybe it is just that, because horse behavioral problems tend to be evasive by nature, we feel that they are trying to continually defend their own interests. Considering that this would not be an outrageous position for them to take in any case, it is sad how seldom we appreciate how generous and tolerant horses really are. Rather than blaming the horse, we would be more sensible to question why horses so often choose to defend themselves against our demands. We believe that the answer to this question lies in the complicated nature of what we are attempting to do in establishing a rapport with a different species to our own. Not only do we want to take responsibility for their lives, we also want to sit on their backs and control them physically. We don't appreciate the gravity of this undertaking because we have rarely looked at it with a beginners mind. Most horse people grew up around horses, and it has always felt natural. Most of us have never really revised the whole subject in our minds, we have simply accepted the traditions as they were passed down to us, and when we encounter the usual horse behavioral problems, we often resort to treating the symptoms i.e by using harsher bits and gadgets, or move on to a 'better' horse because we didn't 'click' with that one. Of course there is no benefit to the horse in changing traditions only to exploit a new fad or fashion, but if you honestly want to bring what you do and who you are closer and closer to the truth, then it is very important to spend some time studying your technique and your interactions with your horse. If you view a problem coming up with your horse as an opportunity for you and the horse to heal something in yourselves, then 'problems' become a lot more interesting and less worrying. Working through problems is really just another way of saying 'engaging with life', which is surely why we are here. We believe it is possible for every horse owner to give the horse that they have attracted into their life the opportunity to heal their own traumas or issues as well. In fact, this healing happens in harmony on both sides of the relationship, and it feels so good because we are fulfilling ourselves instead of chasing meaningless prizes. What does it really mean to beat someone in a competition? Horses are not intellectual animals. While most of the time we humans are aware of our thoughts about different things, horses minds are aware of sensations. Their brain and central nervous system are devoted to the perception of the energetic connection which unites everything together. Humans are also capable of this level of sensory perception, but we have let it become dormant in favor of thinking thoughts which unfortunately are often more of a distraction from reality than a step toward it. When we are around animals we often feel good because their clear and genuine perception is a soothing influence. They don't judge because they stay in the present moment more easily than we do. Horses do have their own ways of distracting themselves from reality however, just like we do. There are many different reasons why they do this, but, in our experience, all of them are founded on an unwillingness to remain present in their body, because it doesn't feel good at that time. Exposure to unbearable living conditions, such as being alone, and lack of physical contact with other horses, lack of sufficient forage, lack of opportunity to move in liberty etc. Physical pain or discomfort which can occur in all the ways we can suffer pain and discomfort. Horses can have headaches, hormonal problems, joint pain, spinal pain, digestive upsets, illnesses and infections etc. The vast majority of serious horse behavioral problems occur as a result of some physical dysfunction. If a horse undergoes a traumatizing experience which he does not recover from in the natural way, this trauma stays within him as an energetic state, and he may react by tuning out from himself or displaying other kinds of horse behavioral problems. 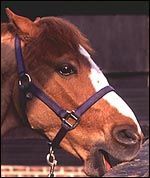 Traumatic events for horses can be any form of interaction with a human if it is unpleasant enough. Often weaning, backing, loading and schooling experiences are traumatizing for horses, especially youngsters. 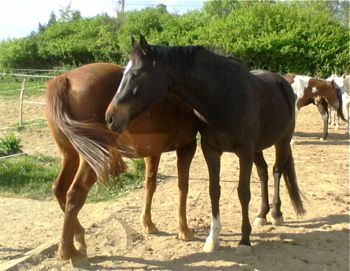 Taking into account that people think in a different way from horses, and as a result it isn't always easy for us to comprehend their behavior, as well as the existence of so many possible ways for horses to feel unhappy within themselves, it is already a challenge to make our relationship succeed. If we add the effort and patience required to train ourselves as riders to be effective enough to balance and support the correct posture in the horse through our own posture, and the will-power and sensitivity we need to train a horse sympathetically yet confidently, we can start to understand why good horsemanship is a serious exploit, and why horse behavioral problems are not uncommon. This is also why it is such a fulfilling passion to be involved in, and why so many people are obsessive about it. It loses its magic when we stop putting the horse first though, and there is no way of hiding your motivations from your horse. Of course our role as trainers and riders cannot be overestimated when it comes to the subject of horse behavioral problems. The vast majority of these problems can be avoided if we can become accomplished enough in our interactions with our horses. Often it is a case of recognizing an issue before it becomes a problem, or altering the way we go about things in some way. It is always more fruitful to consider ourselves as the responsible party in the relationship, and therefore take the point of view that if we fix ourselves the horse will follow. Leading by example is our most powerful tool. Both of these mares above came to us with serious behavioral problems. Through good training, care, and a happy lifestyle, they now trust and respect people. 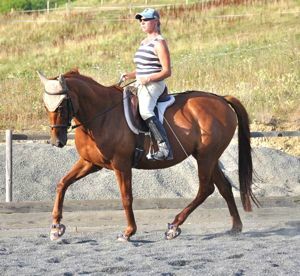 Horse Training: The Whole Way!